NEW YORK - May 27, 2014 - PRLog -- The author’s two books, which describe fleeing the Germans during World War II and how his family survived the impact of cancer, will be represented at BEA by publisher Strategic Book Publishing and Rights Agency, along with its sister companies Author Marketing Ideas and Print on Demand Global. This trio of companies represents thousands of authors’ work at book fairs and expos around the world, negotiating rights sales for both digital and print catalogues. BEA is considered the No. 1 book and author event in the U.S. and will be held May 29-31 at the Javits Center in New York City. Shards Of War won an Indie award for the best Memoir in 2010. In 1941, two teen siblings flee their home on foot in Dubno, Poland, now Ukraine, just ahead of the advancing Germans. Michael G. Kesler tells the true, gripping story of his and his sister’s travels and life in the Soviet Union, providing chilling accounts of earth-shaking events of World War II. or at www.amazon.com or http://search.barnesandnoble.com. 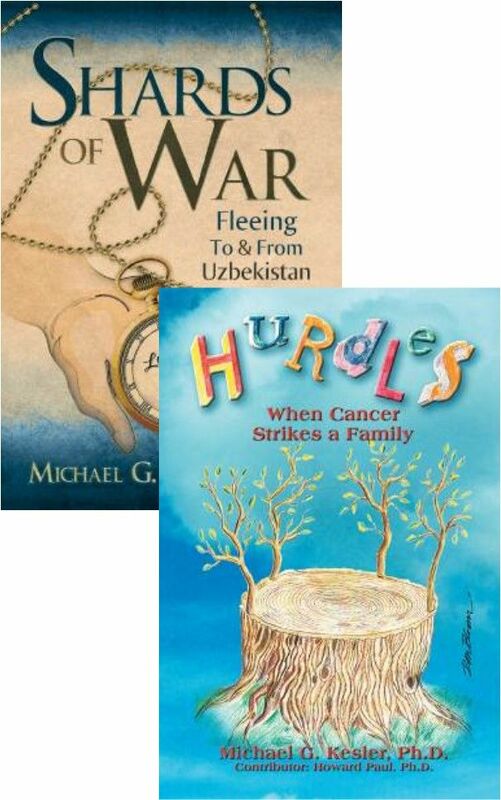 Kesler’s most recent book, Hurdles: When Cancer Strikes a Family has just been listed as a finalist by Indie Excellence under the category of Cancer. There are many hurdles that we face in life. This compelling and heartrending story tells of one family’s desperate struggle for survival in the face of an illness alleviated by love and devotion, as well as a deep commitment to life. The author addresses breast cancer, which afflicts nearly 200,000 women in America each year. He writes from the viewpoint of a husband and father of four young children. Michael and Raquel, his wife-to-be, arrive as students in this country, meet, get married, and begin their professional careers, he as a chemical engineer and she, a pediatrician. Ambition and drive, traits they forged during their formative, horrific years in World War II, helped them achieve great professional success and an enviable lifestyle. But a cyst on Raquel’s breast cruelly reverses their fortunes. “When I learned that my wife’s cyst had turned malignant and imminently threatened her life, I stumbled, losing my business as well as sanity,” Michael recalls. He recovers to resume his professional career and to assume the reins of the troubled household, helping his children overcome the hurdles posed by their mother’s illness and death. This book is must-read for victims of breast cancer and their caregivers. His contributor on the book was Dr. Howard Paul, Ph.D., ABPP, FAClinP, an internationally prominent clinical psychologist. About the Author: Michael G. Kesler, Ph.D., is a chemical engineer, a graduate of MIT and NYU. Since his retirement in 2006, he has written several highly praised books. He and his wife, Professor Barbara Reed, live in East Brunswick, New Jersey, and head a family of six children and 11 grandchildren. The soft cover version, ISBN: 978-1-62857-036-6, $15.75, and the hard cover version, 978-1-62857-036-6, $29.50, can also be ordered through the publisher’s website: http://sbprabooks.com/MichaelGKesler or at www.amazon.com or http://search.barnesandnoble.com. WHOLESALERS: These books are distributed by Ingram Books and other wholesale distributors. Contact your representative with the ISBN for purchase. Wholesale purchase for retailers, universities, libraries, and other organizations is also available through the publisher; please email bookorder@aeg-online-store.com.